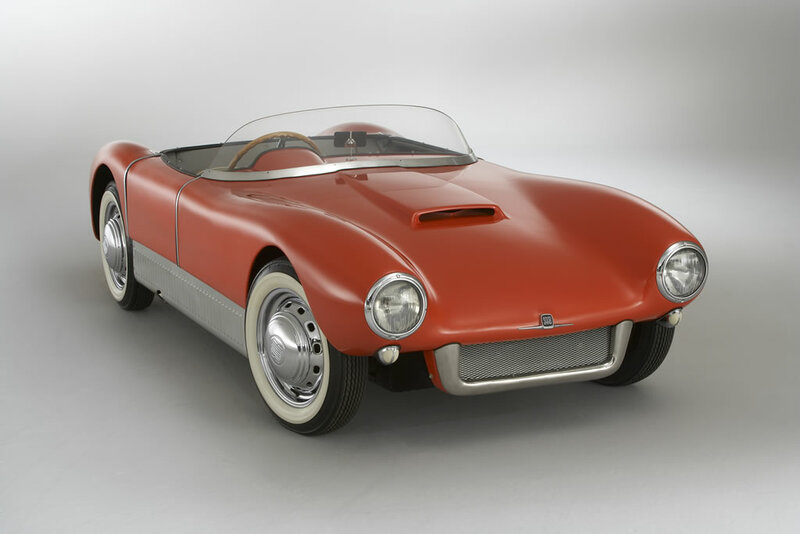 The Saab Sonett “Super Sport” was first unveiled at the 1956 Stockholm Auto Show. 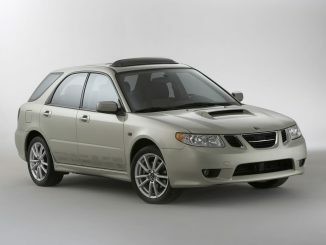 It made its North American debut later that year in New York, where it captured the public attention Saab needed to kick off its automotive business in the United States. 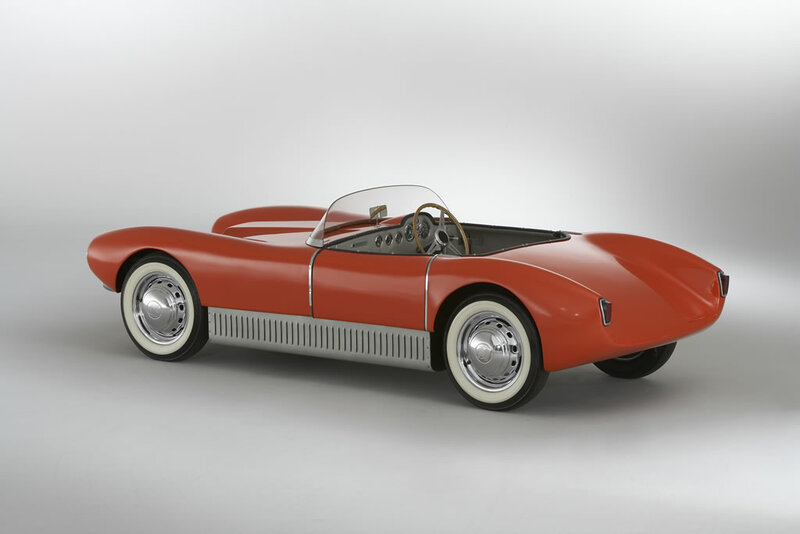 Using contemporary Saab aircraft practices, the Sonett chassis was formed by a riveted aluminum box carrying a fiberglass roadster body. 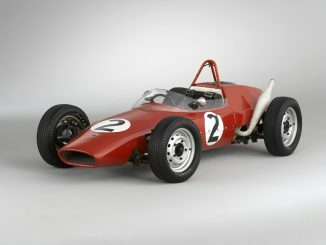 Utilizing the high-performance (58-hp) version of the three-cylinder 750cc two-stroke engine found in the Saab model 93, chief engineer Rolf Mellde “reversed” the drivetrain for optimum weight distribution – putting the engine behind the transmission while maintaining front-wheel drive. The engine rotates in the opposite direction from the production Saabs of the era to accommodate this reverse transmission layout. Originally designed to compete in a racing series that eventually never materialized, Saab built only six first-generation Sonett “Super Sport” roadsters – which all exist today. Saab rally legend Erik Carlsson participated in the 1989 Mille Miglia road race through Italy with the white Sonett that resides in Saab’s factory automotive museum in Trollhättan, Sweden. The Sonett with chassis No. 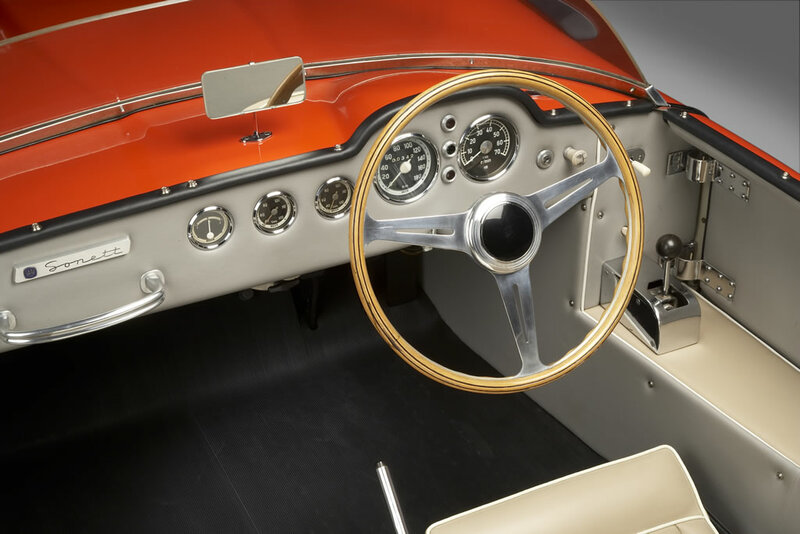 2, finished in a period orange, was originally part of the private collection of the Swedish Saab distributor Philipsson. 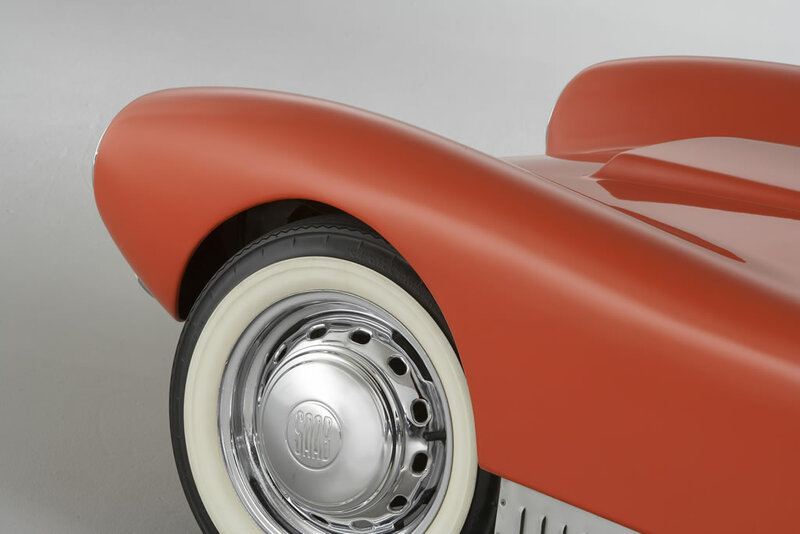 When the collection was dismantled in the mid-1980s, the car was acquired for the Saab USA heritage collection by then-president Bob Sinclair. 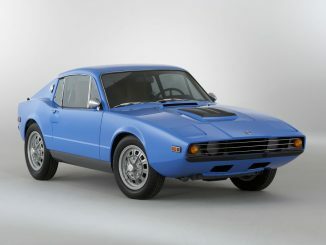 The two met again at the 2006 New York auto show, where the Sonett I was the commemorative centerpiece of Saab’s 50th anniversary in the United States.